There’s nothing that will spoil a day on the slopes like damp, sweaty or uncomfortable boots. Let’s put a stop to this problem once and for all! We caught up with footwear drying specialists, Drysure, to get some insight into how you can keep your feet and footwear in great condition and get maximum enjoyment from the mountain. Time to hear from the experts! Here are some top tips for protecting your feet this winter. When it comes to equipment, having your own boots is much more important than having your own skis or snowboard which can be easily rented and picked up on your way to the resort. We all have different shaped feet, and rental equipment struggles to provide the fit you need for ultimate comfort and performance. If skiing is more than a one-off experience, purchasing your own boots is worth the investment. It’s even better if you can go one step further and get moulded footbeds and foam injected liners! There are a host of experts that can take you through the process step by step, so that your footwear is tailored perfectly for you. It’s essential your ski boots fit perfectly! Alain Baxter Sports will help you find the right footwear, while The Snowboard Asylum are experts in snowboard boots. In skiing and snowboarding, everything comes from your stance and balance, so a pair of well-fitted boots will provide you with a great foundation for more fun on the mountain. At the end of a long day, its easy to unclip your ski boots and abandon them at the entrance to your chalet. Ski maintenance matters! To help your boots stay in shape, make sure you buckle them back up each time you take them off; especially in between ski holidays. Buckling up your boots will help them maintain their integrity over a longer period of time. Walking in boots off the snow will wear away the tip and heel. If your ski boots have screw-in toe and heel caps, we recommend buying spares, so you can replace them when they wear thin. If they do wear too thin, you might not be able to clip into your binding properly, which becomes a safely issue. So, make sure you check your boots for wear regularly! Popping on some rubber cat tracks will help maintain the integrity of the sole for longer too, with the added bonus of providing extra grip for walking. Removing moisture is essential for taking good care of your feet. Boot dryers help keep feet warm and reduce bacterial and fungal growth. It’s common for most people to use heated boot dryers – but be careful, heating your boots can warp footbeds and damage liners. Heated dryers also require electric or battery power, which isn’t so great for the environment, and sometimes it’s simply not practical to access heated dryers when travelling. A boot dryer that uses silica beads to absorb moisture is better for the environment and your boots as it can be reused again and again by reactivating the beads. These boot dryers by Drysure will dry boots 12 times faster than air drying alone! To reactivate the beads, simply place the bag in a warm environment (like on a radiator) for a short period and they’re good to go. These boot dryers are reusable, portable and can be used to dry out any low ankle footwear you take to your resort. Surprisingly, another way to make your boots warmer is to wear thin socks. It’s a common misconception that thick ski socks, or doubling up by wearing two pairs of socks, will help keep your feet warm inside your boots. In fact, airflow is what will help keep your toes toasty. Thinner socks create more room inside the boot, resulting in more airflow. Your feet will warm the air and the air will warm your feet! Taking good care of your feet makes a big difference to feeling comfortable in your ski boots. Most importantly, make sure you cut your toenails before getting into your boots to avoid putting pressure on your nails and causing bruising. Using a pumice stone to scrub away any hard skin will help keep your feet fresh and moisturising at the end of each day keeps feet well nourished. This is a tip to adopt before you go away, to get your feet in great condition ready for your holiday! At the end of each winter, it’s best to prepare your boots for the next season, so they can be stored safely over summer. 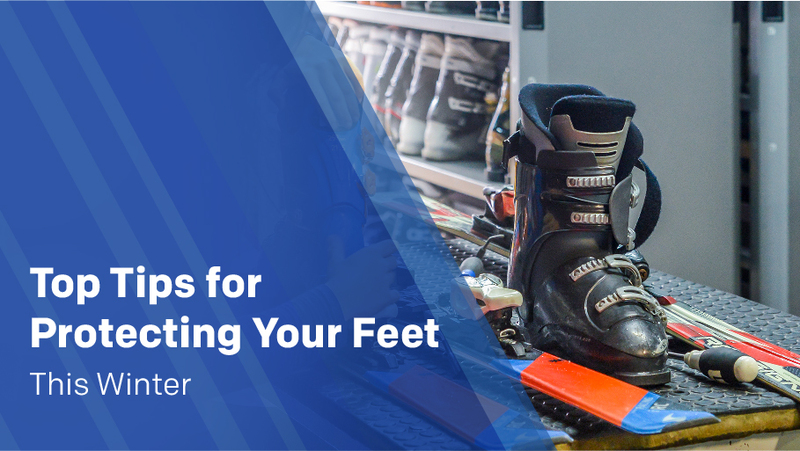 If there are any problems such as loose buckles or worn toe pieces, it’s better to tackle them straight away instead of packing them away and forgetting the problem until next year when you hit the slopes. To wash your boots, carefully take out your liners, wash with warm water and a little washing up liquid and air dry the shell. Once dry, re-assemble the boot and you’ll be in good shape for the following winter. You could even add a pair of boot driers for extra protection. Or, leave it to us to take care of! Alps2Alps offer safe and secure long-term ski storage for all your ski equipment. Our expert technicians will clean and disinfect your boots, so they feel brand spanking new when you slide into them on your next trip!